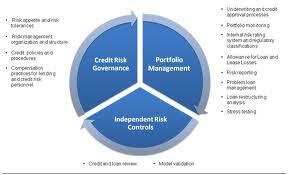 Credit Management is a branch of accountancy, and is a function that falls under the label of “Credit and Collection’ or ‘Accounts Receivable’ as a department in many companies and institutions. They will usually deal with the credit vetting of customers, the resolution of any invoice queries or disputes, allocations of payments or cash application, internal fund movements, reconciliations and also maintaining positive working relationships with customer during the debt collection or credit review and approval process. A key requirement for effective revenue and receivables management is the ability to intelligently and efficiently manage customer credit lines or credit limits. In order to minimize exposure to bad debt, over-reserving, and bankruptcies, companies must have greater insight into customer financial strength, credit score history and changing payment patterns. Likewise, the ability to penetrate new markets and customers hinges on the ability of a company to quickly make well informed credit decisions and set appropriate lines of credit. Credit Management has evolved now from being a pure accounting function into a front-end customer facing function. It involves screening of customers and only those who are credit worthy are allowed to do business. A sound review of the financial position of the customer, and understanding of their business model is the first step in ensuring that the company does not end up selling to a customer who ends up seriously delinquent or in default. Hence, before the sales function commences its business with the particular customer, the credit management role begins. Later as the customer starts dealing with the company, the accounts receivable function is used to ensure recovery as per agreed terms of credit is followed. Default probability: What is the likelihood that the counterparty will default on its obligation either over the life of the obligation or over some specified horizon, such as a year? Calculated for a one-year horizon, this may be called the expected default frequency. Credit exposure: In the event of a default, how large will the outstanding obligation be when the default occurs? Recovery rate: In the event of a default, what fraction of the exposure may be recovered through bankruptcy proceedings or some other form of settlement? When we speak of the credit quality of an obligation, this refers generally to the counterparty’s ability to perform on that obligation. This encompasses both the obligation’s default probability and anticipated recovery rate.